In 2010, Kaplan was selected for two phases of construction at the Unitarian Universalist meetinghouse church in Sherborn, Mass. The first involved making the entire building handicap-accessible, while also providing new emergency lights and exit signs. 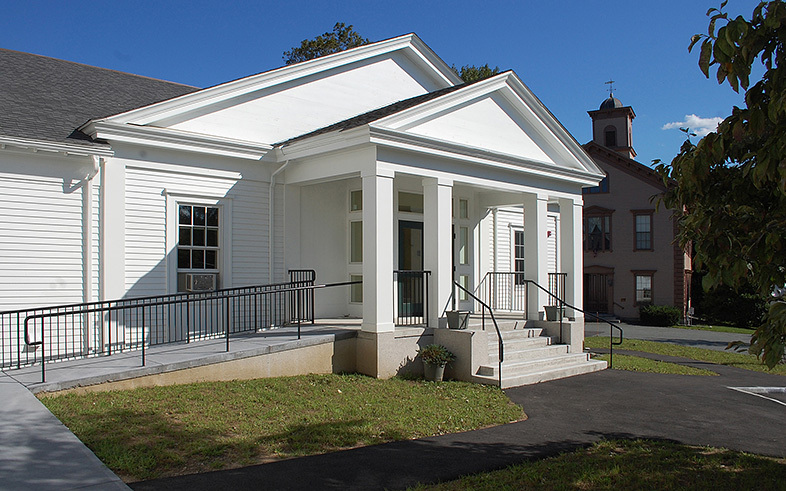 The second phase was a multi-purpose addition to the existing meetinghouse and preschool, to allow for an expansion of the church’s religious education programs and social activities. Kaplan ensured the construction schedule was in sync with the congregation’s fundraising for the project. When it came time to remove a large area of ledge outside the church’s daycare, Kaplan made plans for an alternate entryway, and also relocated the daycare’s playground to a temporary site on the opposite side of the building.